Filament tape is great for bundling or palletising and is ideal for use on cartons or parcels sent overseas or interstate where peace of mind is required that your tape won’t fail through the rigours of long haul transit. Choose from one direction or bi-directional filament options. 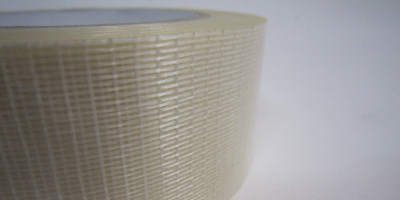 Cross linked filament tape has a high cross direction tensile strength with aggressive adhesive. Strong fiberglass reinforced filaments. Easy to use in a tape dispenser. Resists nicks, abrasion, scuffing or moisture. Excellent adhesion and shear strength to cardboard, metal or plastics. Please contact us for pricing and discount volume offers or any further information. Used to strap or bundle multiple items together. 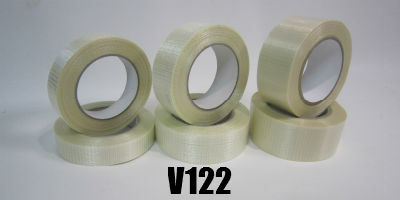 High strength, Adhesive backed strapping tape. Use to hold doors, shelves or loose parts on white goods while in transit.